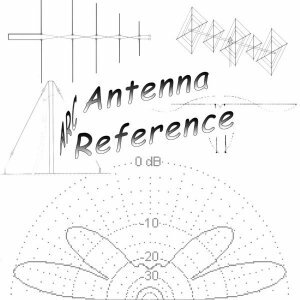 A comprehensive guide to antennas! 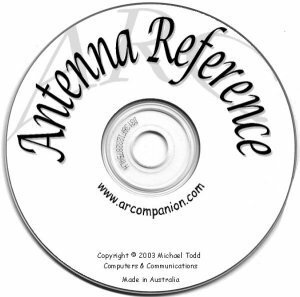 This CD provides a comprehensive guide to antennas with a good selection of antennas to consider for construction. As well as the common dipole, Vee, Quad, Yagi and vertical antennas there are many others. The Discone, Windom, Zepp and J-Pole, the X-Beam and ZL Special - just to name a few. 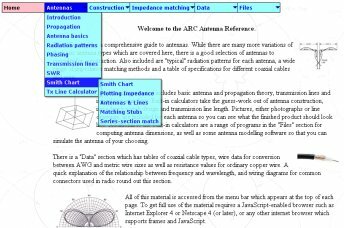 Also included are typical radiation patterns for each antenna, a wide range of impedance matching methods and a table of specifications for different coaxial cables and wire. 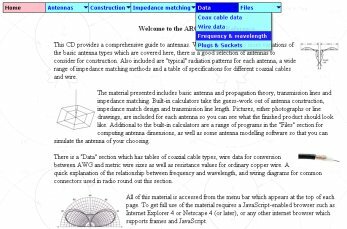 The material presented includes basic antenna and propagation theory, transmission lines and impedance matching. 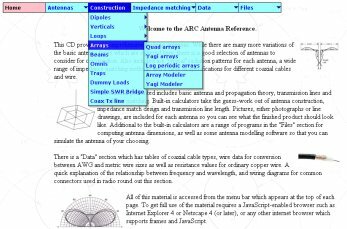 Built-in calculators take the guess-work out of antenna construction, impedance match design and transmission line length by providing measurements in both metres and feet/inches. Pictures, either photographs or line drawings, are included for each antenna so you can see what the finished product should look like. 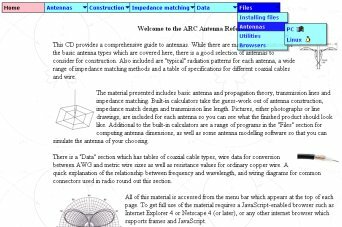 Additional to the built-in calculators are a range of programs in the Files section for computing antenna dimensions, as well as some antenna modelling software so that you can simulate the antenna of your choosing - and both MS-DOS / Windows and Linux are supported. 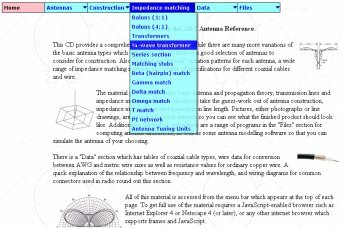 There is a Data section which has tables of coaxial cable types, wire data for conversion between AWG and metric wire sizes as well as resistance values for ordinary copper wire. A quick explanation of the relationship between frequency and wavelength, and wiring diagrams for common connectors used in radio round out this section. All of the material is accessed from a menu bar which appears at the top of each page. 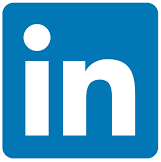 To get full use of the material requires an internet browser. It's easy to use because the CD interface is HTML driven which means you browse the CD as if you were on the Internet.